It had occurred to Lee that perhaps he wasn’t taking his life in the right direction. It was late afternoon on a stunning spring day, filled with warbling birdsong, clean air, and the strongest sunshine he’d seen in months, and yet here he was. ‘Here’ was where sailors’ gruff cursing drowned out the birds, the smell of stagnant river water, alcohol, and dead fish assaulted the nose, and thick tar-colored smoke crawled down the throat and shrouded the sun. ‘Here’ was quite possibly the seediest dock he had yet to see in St. Louis, and that was truly a feat. Lee let out a great, huffing breath of air and tilted his head to rest against the wall of the alley that he currently occupied. This was not the best idea, seeing as his head hurt like all creation at the moment. He wasn’t sure if it was from the first fight, the one that had gotten him fired from his job at the stables, or the second, which had landed him in the alley. I try to joke around and vent some steam, and this is where it gets me, he though. Worst of all, he knew with painful clarity the consequences of his slip ups. His family needed all the money they could get, what with a brand new set of twins in the house. Now Lee had gone and lost them one of their few sources of income, and he doubted anyone else would be willing to give him a job. His father’s good name only got him so far. The voice snapped him out of his grim reverie, and he looked up to see a half-remembered face looming over him. A man in well-worn travelling clothes with leathery skin and a grizzled beard to match stood just outside Lee’s little back street, looking at him expectantly. It took Lee a moment to place the vague sense of recognition, but when he did, it was with confusion. He had sold this man a horse two days ago, back when he still had a job. “How can I help you, sir?” he inquired with a half-hearted grin, still slouched in the alley. The man’s gleaming black eyes bored into him coolly, and Lee could feel himself being assessed, measured, and judged. He didn’t think he wanted to know the verdict. With a terse nod, McCarthy was gone, leaving a stunned Lee to amble home as he mulled over what in God’s name he had gotten himself into. His feet found familiar ground and began treading their way down the well-travelled path home. He was possessed of a detached certainty that he would walk this route tomorrow, as he had his whole life. Moving through all the clamor, grime, and vivacity that was his home, though, Lee couldn’t help but see everything with new eyes. What if he left this city at the edge of the civilized world? What would happen if he just packed his bags, turned away from his hometown, and never looked back? The most probable answer was that some outlandish mishap would kill him before the year was out – he had heard all the stories from out west, after all – but Lee’s reputation as a reckless dreamer had not been earned through pessimism. Mad though some part of him said it was, the scheme was becoming increasingly appealing. No one in this town would give him a worthwhile job – he was far too infamous for that. Whichever way he looked at it, here in St. Louis he would just continue to drain his family’s resources as he slogged through a dead-end life. Down the other possible road, he saw wild fantasies of adventure in unknown territory, freedom from this town that knew him all too well, and money aplenty to send back home. In the end, it wasn’t the most difficult decision to make. What would be difficult, he decided as he came to a halt in front of his home, was breaking the news to his mother. Caroline Brandt was a whirling storm wrapped in an apron, all sharp words and blustery affection that she blamed on the Scots-Irish blood running hot in her veins. Though Lee towered a foot over her head, he had to admit that she was a terrifying woman. She was the sort who would just as soon cuff him around the ear as she would embrace him, and he could feel every fiber of his being cringing away even as he opened the door. His mother was sitting right in his line of sight, smiling at him benignly from her rocking chair. Lee could practically see the tempest building behind his mother’s eyes as her skin went from white to scarlet. His mother pursed her lips and looked ready to reply, but heavy footfalls signalling the arrival of another stopped the both of them. Those brief words of approval, coming from the man that was twice all other men in Lee’s estimation, made his heart feel fit to burst. He stood rooted to the spot, turning everything over in his head, as his father took his mother elsewhere to speak privately. Then with a gasping breath that was like having his head pulled out of ice water, Lee shook himself and headed to his room. Small and humble though it was – much like the rest of the house in fact – it was his space, and had been for years. Looking around it now though, he saw almost exclusively things that he could live without. Whatever he had gathered and hoarded in his room was without a place in his vision of a new life. He loved it all, but something inside of him had snapped any connection between his future and his past. Picking up a sturdy canvas knapsack that had been stored under his bed, Lee began to collect the bare essentials and shove them inside. The room didn’t seem much changed by the time he was finished. All he had taken was some extra clothing, a pair of boots, the knife his father had given him when he turned fifteen, and a beaten journal that had been a gift from his mother years ago. He supposed he could grab some extra supplies the next morning, but if he was travelling with a group that could presumably provide for him, what more did he need? Lee hunkered down on his bed dazedly, tracing grain patterns on the floorboards. His eyes drifted upwards a minute later as he heard the familiar creaking of his door hinges. Poking her frizzy head of brown hair into the room was his little sister, peering curiously at the rucksack by his feet. “That’s right,” replied Lee with a wry smile and a nod. After that he lay awake for some time, eventually letting his his parents’ murmurs lull him to sleep. When he woke, it was with the jolting awareness of someone expecting great things from the day to come. Steeling himself for the farewells ahead, he slung his bag over one shoulder and stepped out of his room. Lee accepted the extra pack and pulled his mother into a hug. “Thanks Ma,” he mumbled, not knowing what else to say. “I will Pa.” Lee couldn’t think of anything to say. There was simply too much, and if he started he’d never stop. So instead he settled for a heartfelt “I love you” and a kiss on his mother’s cheek before turning and striding resolutely out the door. He took a final long look around before breaking into a sprint. It would be far too embarrassing now if the wagon train left without him. Lee flew past the buildings of his childhood without a second thought, not knowing or caring when he would see them next. 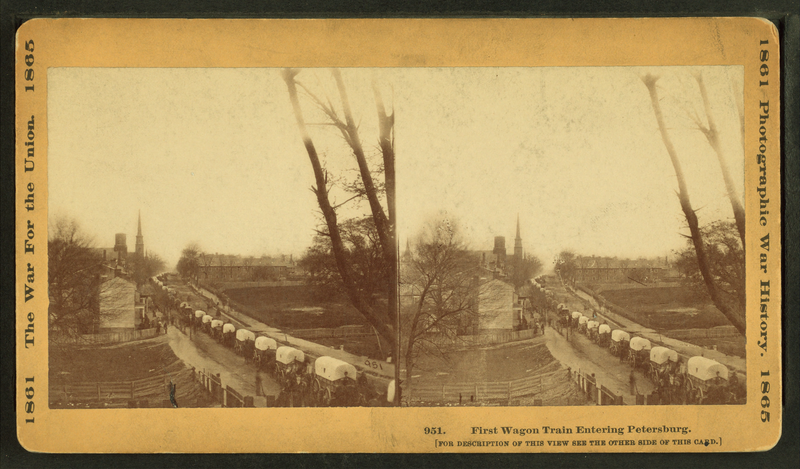 As he careened around a corner and was met with the sight of forty-wagon train, Lee had eyes only for his future. “Glad you could make it!” McCarthy called out from some way down the line. He began to approach Lee as he checked in with other party members. “The rest of the guys are raring to go, so I’ll explain all your jobs on the way. For now, just hop on somewhere.” He then left for the head of the train, bellowing out orders along the way. Lee grabbed on tight to the nearest wagon’s rigging and hauled himself up, looking over the beaten road before him. A strange new feeling swelled in his chest, tugging at his core and foretelling of a life not yet lived. The biggest grin of his life split his face. Then at the crack of a whip Lee was rolling away, the sun warming his back and his face turned up to the western sky. Olivia Suozzo is a junior at Clayton A. Bouton High School.